Hedge-fund, private-equity fund investors flock to Puerto Rico; drawn by attractive economic incentives, confidence in the island’s recovery. A recent spate of significant investments in Puerto Rico signals just the beginning of what has the potential to become a huge driver of economic development, as many big-time investors consider the island an alternative in which to establish their residence and do business. The total investment is already at more than $1 billion and with more than 600 permanent jobs projected to be created in the near future. Many of the investors eyeing the island include major players in New York City’s private-equity and hedge-fund sectors. Among them, some high-profile names have already made their move and have established some kind of presence in Puerto Rico, such as Nicholas Prouty, CEO of Putnam Bridge Funding, based in Greenwich, Conn., and billionaire hedge-fund investor John Paulson, founder & president of Paulson & Co., based in New York. However, Prouty and Paulson are far from being the only investors who have made Puerto Rico an integral part of their business dealings. For instance, Barry Breeman, vice chairman & founding principal of New York-based investment firm Caribbean Property Group (CPG), and part owner of the Dorado Beach Ritz-Carlton Reserve resort, relocated to the island with his family from New York earlier this year. Other investors have followed suit, although usually without making too much noise, and with people involved having to sign nondisclosure and confidentiality agreements. “Many investors are being very discreet about the whole process. We’ve even had to pick them up in tinted-window vehicles from their private jets,” one source said. Earlier this month, the organization held a meeting in Dorado that brought together several interested investors, along with representatives from local law and accounting firms. During the meeting, organizers sought to “provide insight to…members regarding professional services such as attorneys, real-estate agents, accountants, as well as guidance to members on the necessary steps required when relocating to Puerto Rico,” said a source who attended the meeting. “The organizers have been very careful about not being very public. They want to make sure it is not only about investors taking advantage of economic incentives, but also about ensuring that these investors are giving back to Puerto Rico,” the source added. The organization’s name refers to Law 20 (Law to Promote the Export of Services) and Law 22 (Law to Encourage the Transfer of Investors to Puerto Rico) of 2012, essentially the island’s main calling cards in its bid to attract offshore investment. In short, both laws establish various incentives in which outside investors who turn Puerto Rico into their primary place of residence pay only 4% of taxes on earned income, no taxes on profit distributions and dividends—but only on income derived from sources within Puerto Rico—and zero taxes on commercial property for the first five years, with such incentives guaranteed for at least 20 years. Another piece of legislation, Law 273 of 2012, also known as the International Financial Center Regulatory Act, seeks to broaden the scope of banking activities for international financial entities organized in Puerto Rico and establishes additional tax incentives for this sector. As a result, dozens if not hundreds of investors are giving Puerto Rico a closer look. Under Law 20 alone, about 40 decree submissions from various firms looking to establish a presence on the island have been signed by government officials, with about 200 additional decrees in the pipeline, government sources said. 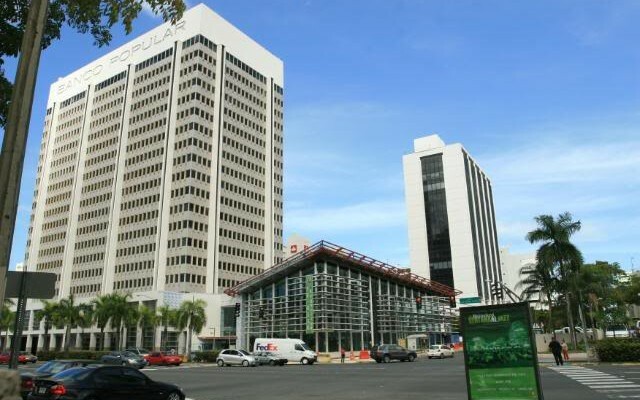 Attorneys and accountants from San Juan’s Hato Rey sector interviewed by CARIBBEAN BUSINESS said they are fielding about six calls a day from rich investors asking about the incentives, while another cited a 400% increase in inquiries since media reports about Paulson’s interest in Puerto Rico made national headlines. “There have been a lot of private-equity and hedge-fund people looking [into Puerto Rico]. They’re looking at housing, at the schools, the style of living and at the workforce because they have to hire people,” Breeman said in a Bloomberg interview earlier this year. Although economic incentives play a large part in the latest investor movements to the island, many such investors are also injecting huge amounts of money into the local economy. Perhaps no better case exemplifies such a dynamic than Prouty and his two main investments on the island, La Ciudadela housing and commercial complex in San Juan’s Santurce sector, and the Puerto del Rey Marina in the eastern municipality of Fajardo. “When both investments are fully completed, we estimate total deployment of capital in the $750 million range and the creation of 1,000 jobs—jobs up and down the value chain,” Prouty told CARIBBEAN BUSINESS in an exclusive interview. Prouty’s firm, Putnam Bridge, specializes in acquiring real-estate assets mired within the initial stages of the U.S. bankruptcy court system. The case was no different when it came to La Ciudadela, a project that has been on a difficult road for years and which saw one of its main developers, Miramar Realty Management, file for Chapter 11 bankruptcy in March 2011, as well as a lawsuit by Banco Popular some months later. Putnam Bridge came on board in September 2012 and acquired the property for an undisclosed amount; since then, the project has experienced a new lease on life. 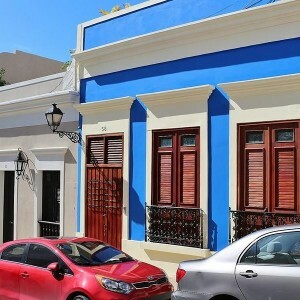 “I fell in love with Santurce not because I wanted to make it look like a hip New York neighborhood, but because it is one of the most historically significant neighborhoods of San Juan and a place close to the city’s greatest cultural institutions, such as the Museo de Arte de Puerto Rico, the Centro de Bellas Artes and the Francisco Arriví Theater,” Prouty said. Following the acquisition of La Ciudadela, a comprehensive review of the project was undertaken and an action plan devised—plazas and public areas were cleaned, painted and landscaped, apartment features that were formerly options now became standard, and lobbies and fl oor landings were transformed into zen-like urban settings. “Energy consumption was also carefully analyzed, and immediate steps were taken to install LED lighting and energy-efficient water pumps for our cooling towers. Finally, we recently made the decision to install nearly $4 million worth of solar panels and create a grey-water management system, resulting in dramatically lower homeowners association fees,” added Prouty, who is also managing partner at Valivian Capital Management LLC. Since such renovations have taken place, more than two-thirds of La Ciudadela’s housing units have been sold. 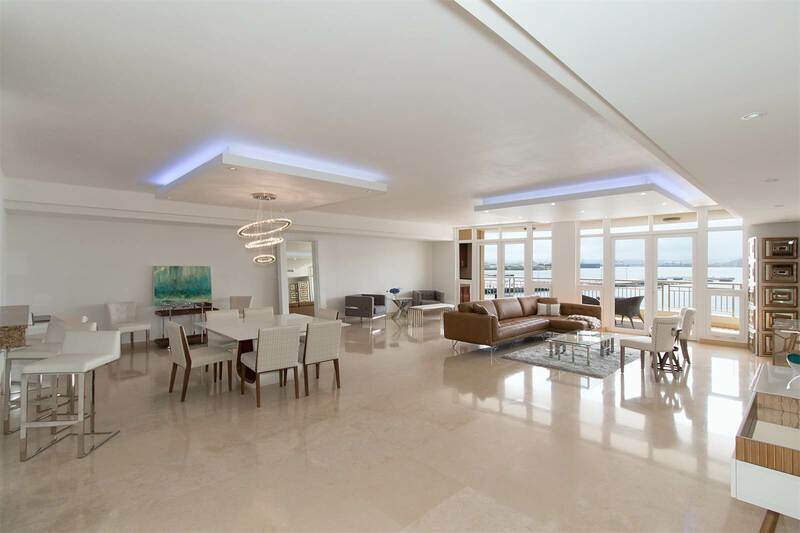 “Sales at Ciudadela have significantly exceeded our internally generated projections, and within the next few months, we will be completely sold out. As a result of sales, Phase III will be built. Recently, we acquired an adjacent building on [nearby] Del Parque Street and have extended our footprint even further,” he revealed. 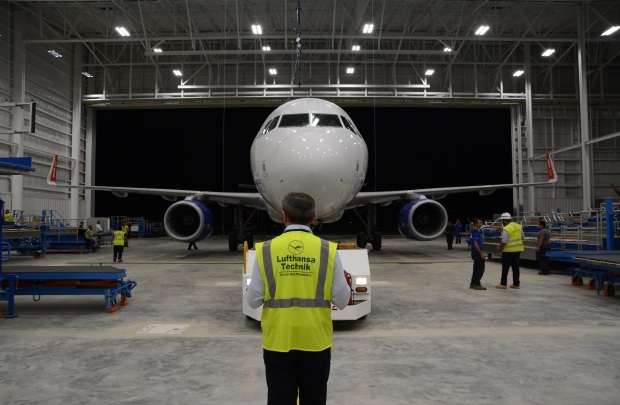 According to unofficial reports, about $100 million will be spent on La Ciudadela’s new phase, and will create about 3,300 construction jobs and 100 permanent jobs. The development will include five buildings; 251 apartments; 61,000 square feet of commercial space; 13,000 square feet of recreational space; 15,000 square feet of new outdoor areas, including a park area that would reportedly connect the Ciudadela complex with the art museum nearby; and 408 new parking spaces. Regarding the Puerto del Rey Marina in Fajardo, Putnam Bridge paid $47.5 million for the property in June under similar financial terms, with the former owners of the marina, the largest on the island, having filed for bankruptcy in early 2013. Following the acquisition, Putnam Bridge will invest about $450 million in improvement work at the marina, slated to create 200 to 400 jobs in its construction phase and 300 to 500 permanent jobs once renovations are completed. Some of the renovation plans include adding a significant number of additional wet and dry slips to accommodate a variety of yacht sizes, including megayachts of 200 feet or larger. It is slated to increase overall capacity beyond its current total of 1,100 vessels. “We also plan to significantly increase the number of tie areas to provide total safety during hurricanes, and renovate all commercial areas including restaurants, retail stores and marine services,” Prouty said. There are also plans to construct an exclusive yacht club with watersports, a swimming pool, a spa and a gym. “Our master plan envisions the creation of a community adjoining the marina,” he noted. Paulson has arguably been the subject of more media scrutiny in recent months than any other Wall Street investor, and it is no wonder. Paulson first achieved national fame in 2007, when he successfully bet that subprime mortgages would tumble. Such a wager netted about $15 billion in profits for his hedge fund and turned him into one of the 100 richest people in the world, with an estimated wealth topping $11 billion. In 2010, Paulson made his first incursion into the Puerto Rico business landscape when he bought about 6.7 million shares of Popular Inc., right before a consolidation process mandated by federal bank regulators prompted Banco Popular to acquire Westernbank, another financial institution. Since then, Paulson’s firm has steadily bought additional stock, eventually owning 8.8 million shares, or 9%, of the company, with an overall stake valued at about $230 million. Then in March of this year, news broke about Paulson’s alleged intentions to move to Puerto Rico, purportedly as a way to hold down taxes on his fortune. Later that month, a press release dismissed such reports, stating Paulson was only looking to make investments on the island. The nature of such investments was made clear this September, after Paulson acquired a majority stake in St. Regis Bahía Beach Resort & Golf Club, in the northeastern town of Río Grande, for an undisclosed amount. Through the deal, Paulson & Co. obtained an 80% stake in the resort & luxury residential complex, while local developers Interlink Group and Muñoz Holdings share a 20% ownership. “We intend to sell another $500 million in lots and residences over a 10-year period,” Paulson added. The plan is to have about 30 condominiums for sale, as well as 185 oceanfront, golf and ocean-view estate lots. Despite the powerful lure provided by Puerto Rico’s economic incentives, there are still doubts for some investors, in part because of the fear from backlash by the federal government regarding what some may consider a tax haven. However, Breeman doesn’t think it will come to that. “There are only two ways you can change that. No. 1 is to make Puerto Rico the 51st state, which I don’t think is in the cards for a long time. No. 2 is to pressure the government to remove these laws, and I don’t see that happening either. There are four million U.S. citizens living in Puerto Rico, and another four or five [million] living stateside,” he said, hinting at possible political repercussions stemming from congressional enforcement. There have been precedents for such an action, though. In the 1980s, Congress acted against a similar program in the Northern Mariana Islands, where a number of wealthy businesspeople sought to avoid taxes on profits from the sale of successful businesses. More recently, the federal government placed restrictions on a similar program in the U.S. Virgin Islands to cut down on abuse by requiring residents of that territory to be physically present for at least 183 days a year. Puerto Rico laws carry this requirement and additional tests to prove residency and that the investor is a member of the local community. Apart from the handful of questions debating the true legitimacy of such incentives, doubts on the part of some investors partly have to do with something much more basic: fear of dealing with the unknown. Margaret Pena Juvelier, a real-estate broker with Sotheby’s International Realty in San Juan, recently told the New York Times that she often sends a black SUV with a driver in a suit and tie to meet clients, some of whom arrive to Puerto Rico on private jets and pepper her with such questions as “Is there a Whole Foods here?” and “If I get really sick, do I have to be Medevaced? The 20/22 Act Society, on the other hand, has among its goals to establish a community of participants that can support each other while in Puerto Rico. “This involves help in adjusting to living in Puerto Rico, for example, schools, shopping, housing, lifestyle, etc.,” its mission profile reads. “Many such investors come here and don’t know where to start. They don’t know the intricacies of the laws, or whom to contact first. That’s where an entity like the 20/22 Act Society comes in, to provide them with education and support, and see how they can give back to Puerto Rico,” said the organization representative. For instance, during a recent meeting in Dorado, the society gave a $10,000 donation to Scars (Second Chance Animal Rescue Society), a local organization dedicated to the control of stray animals on the island. Time will tell whether Puerto Rico’s new strategy to prop up its economy will result into a new economic model for long-term prosperity; but when it comes to the investors’ perspective, betting on Puerto Rico is turning out so far to be a worthwhile endeavor.